We welcome you to attend the 20th Annual Vancouver Asian Film Festival Nov. 3–6, 2016. All screenings will be at Cineplex Odeon International Village, 88 W. Pender St., Vancouver, as accredited media, a media partner or sponsor. Visit our Media Accreditation page and fill out our Media Accreditation Form. Please email media@vaff.org for screener hard copies or online viewing links. Print postcards and posters are available throughout Metro Vancouver after October 6, 2016, and our deluxe large format print program guides can be picked up at select locations in the city of Vancouver, including at the Cineplex Odeon International Village, 88 W. Pender St., Vancouver, after October 15, 2016. Filmmakers can have very tight schedules during the festival season, and we will do our best to schedule your request. 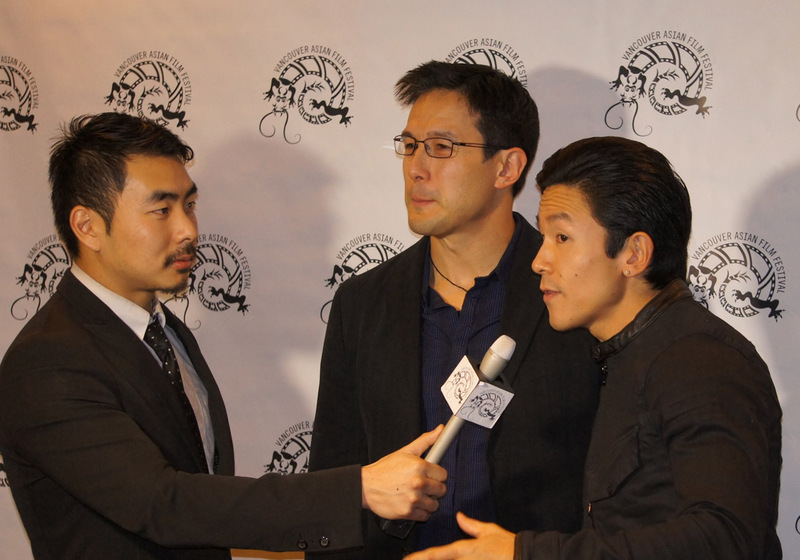 Please send specific interview requests to media@vaff.org. Our full festival program and schedule will be available on our website soon. Interviews and photo opportunities are available. Hard copies of the VAFF 20 deluxe large format print program guide and mini program guide is available for pickup during the festival. Online: After October 6, 2016, the entire festival program lineup and advance ticket/pass purchase will be available on our website www.vaff.org. With the theme “Homecoming,” the VAFF 20 lineup invites us to explore different interpretations and accommodations of “home,” and what it symbolizes—particularly for diaspora. Feature-length and short films in all genres (narrative, documentary, animation, experimental), celebrating the best in Asian diaspora films and filmmakers from Canada and internationally. Seventy per cent of the films are in English; the remaining films feature a mix of English and other languages, and are subtitled in English. Twelve film programs include a local youth filmmaker showcase and 35 feature-length and short films of all genres, with English dialogue and/or English subtitles, from the local and international Asian diaspora. Highlights include 4 world premieres, 2 North American premieres, and 10 Canadian premieres. An additional 6 films are Vancouver premieres. The Best Canadian Short Award will be presented to one of seven nominated eligible short films by Canadian filmmakers. New this year, is the Best Canadian Feature Award sponsored by the Directors Guild of Canada, to be presented to one of three nominated eligible feature films by Canadian filmmakers. We will be presenting various People’s Choice Awards, sponsored by National Bank, during the closing night screening and awards ceremony. Return back this year, is the VAFF Industry AIM³S for “reel diversity”: AIM³ Summit (Asians in Movies + Media + Music) on establishing more diversity in the entertainment industry, with three separate panel discussions.